I go on seafood binges from time to time and what better place to do that than Hawaii right? It was day 3 when I got my shrimp on at the famous Giovanni’s shrimp truck. Locals swore this was the only place to get shrimp from a truck at because it just tasted far better than their competitors. I only tried one truck so I’ll just have to take their word for it but it was featured on an episode of Man vs Food so I knew it was at least the most popular if not the best. 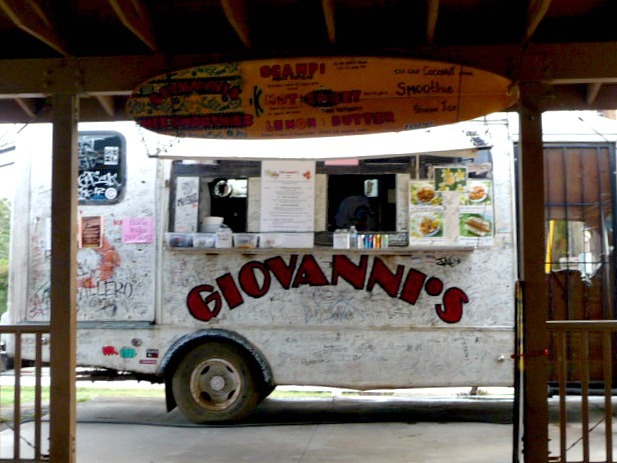 The famous truck which is covered in the names of people who have eaten there is located on Oahu’s North Shore. I’ve heard the lines can be long but I lucked out and only had one person in front of me. I decided to try the hot n spicy plate and wondered if I was in for some serious pain since it clearly stated that no refunds would be given which means eat at your own risk. 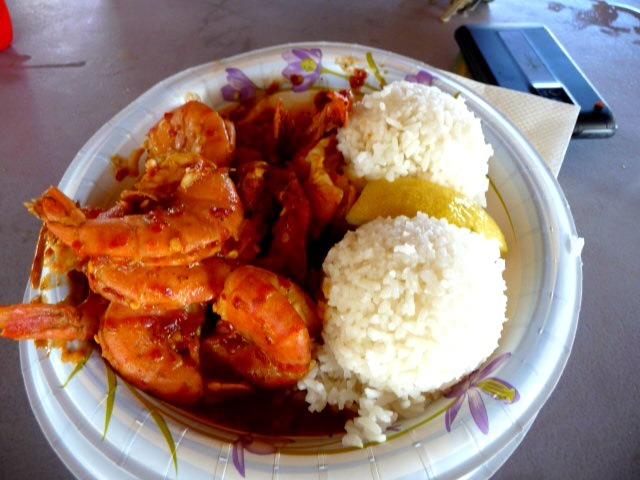 The plate consists of a dozen shrimp (shells on) that is marinated and cooked in their secret spicy sauce alongside a couple scoops of rice. I just finished snacking on some shoyu poke so I wasn’t super hungry but I didn’t want to miss out on this must eat place. My verdict? Yes it is spicy. You will feel it within a couple of seconds and it will stay with you for a short while. It’s a good heat though and the flavor of the shrimp still comes through despite the spice. I think most people who don’t like spicy food won’t go near this anyways and will opt for their scampi or lemon butter flavors. I think I ate 8 total which is pretty good considering I needed to save room for the shave ice I was heading to next. Be prepared to have plenty of napkins close by, a cold beverage on hand and skip the fork and just use your hands for the rice. Oh and don’t forget to write your name on the truck!